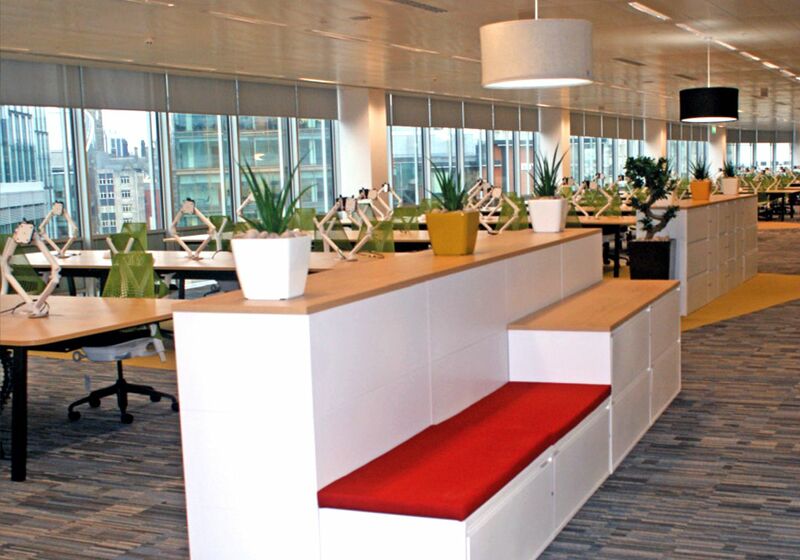 WorldPay sought after a new working area that broke away from the conventional banking workspace style. In order to achieve something that was pioneering to the banking workplace, we worked in partnership with interior designers at TSK to develop an end product that was both practical and aesthetically pleasing. 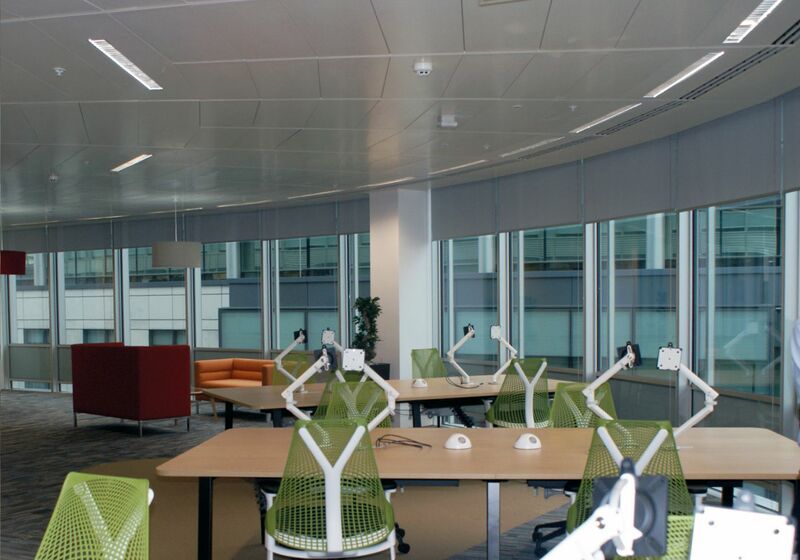 The brief was to create a working environment that allowed for flexible working; staff wanted to benefit from an area that would allow them to have as much or as little space required on each day depending on the task. 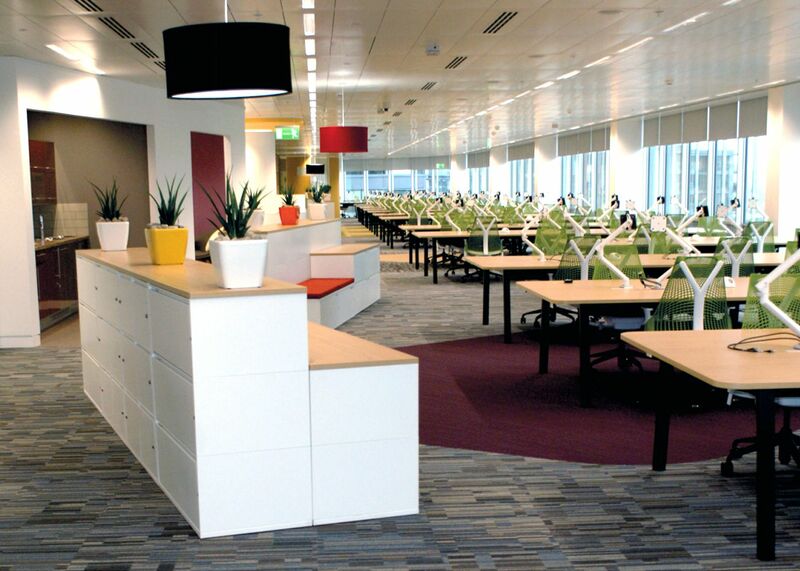 Furthermore, WorldPay sought after a continuous look so that staff did not feel as though they were confined to a particular desk. This would also allow for staff numbers to be increased without making existing users feel that they were losing their desk space. 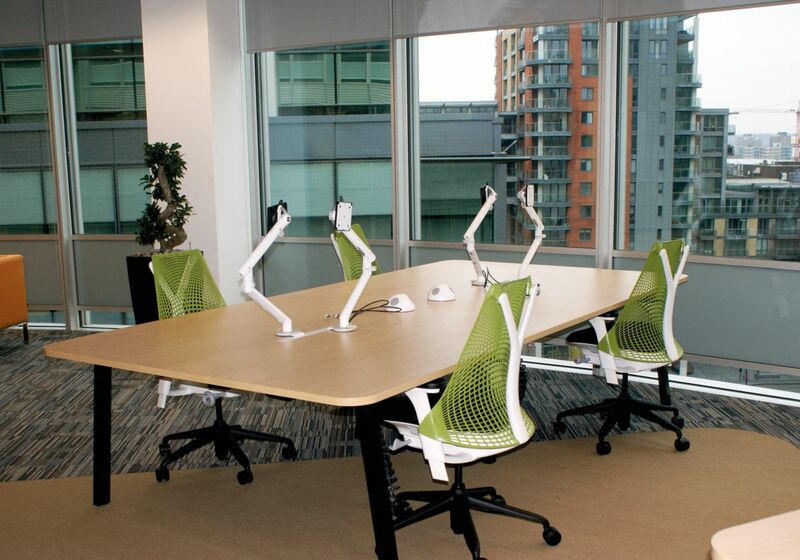 Additionally, the furniture needed to allow for seamless integration of I.T. 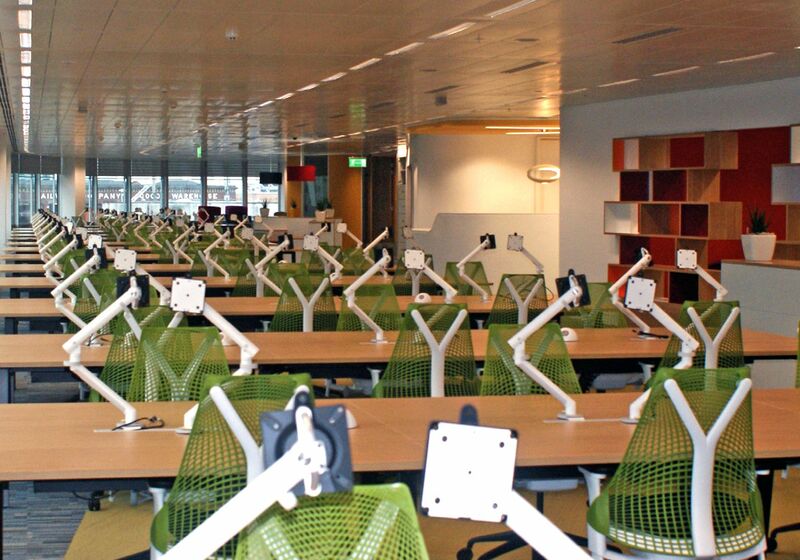 equipment that would not be limited to a single workstation area. Before we manufactured a working prototype, we created the product as a 3D model to get a feel for what the end product would look like. This also allowed us to make amendments and tweaks to the formation of furniture, significantly reduced the time from concept to signed-off product. Once the 3D model had been approved by the client, we produced a physical mock up for them to trail. This was to ensure that everything would work for the users, before we manufactured the complete order. The project was an astounding success and our concept was placed into the new premises in London housing a 1000 staff members.